​We divide our season into two parts, when our events are outside, and when our events are inside - theoretically! From late Fall to early Spring we run inside events, about four months, the vast majority are food themed events with our core catering partners , we call them feasts. We pair them with our own artisan wine, beer and cider for sensory experiences that we think you will enjoy. Upcoming Feasts are below, but you can also find our master schedule of Feasts and Festivals up to a year out on Facebook Events. All food and wine is à la carte, there is no cost to enter. Our Feasts have up to six vendors, some large, some small and special - all of which we think you will enjoy. Food is normally noon to 9 pm (noon to 6 pm on Sunday). Popcorn and bacon on a stick are always available in the Brewery as well. For the other 8 months of the year, we are enjoying our outside space along with our inside space, and we add to the feasts a large number of events which we call festivals. The feasts continue during this period. 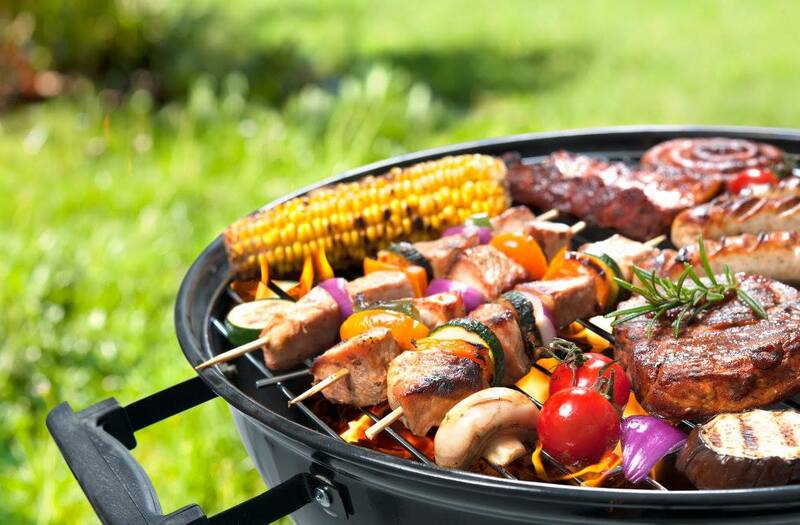 But the festivals which are generally not food themed become a focus for many of our guests. Examples include two Country Music Festivals, Two weeks of Oktoberfest, WineStock, Cork and Pork, and many others. For the upcoming festivals, visit here. 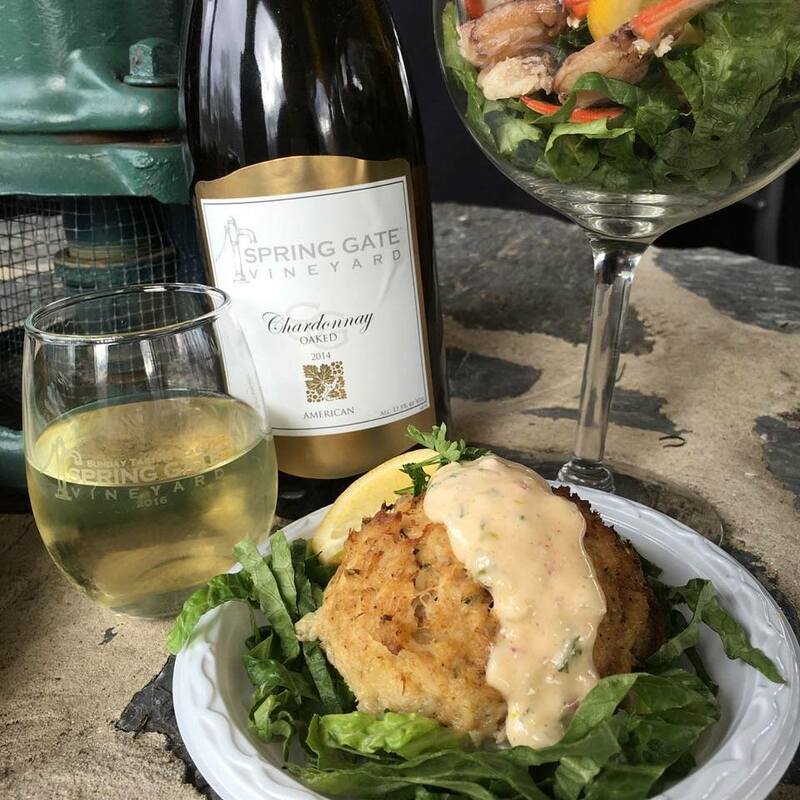 Time to join us at our April Crab & Chardonnay Feast during our Spring Oktoberfest! Live music starts at 1:30 pm, and there will be food to find your perfect pairing with our wine, cider or craft beer. As with all of our feasts, there is no ticket and everything is à la carte. 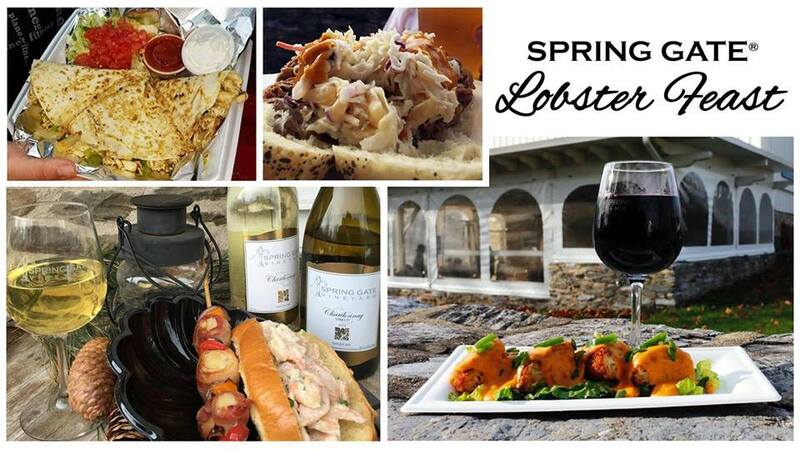 Join us for our May Lobster Feast during our Cinco De Mayo Festival! Aside from another great pairing with Chardonnay, you should consider the Brewery and do the Belgian Blonde with a lobster dish. Whichever way you decide to pair it, you have many choices from our selection of wine, cider, and beer. We'll be having various Lobster based creations which the caterers will be responsible for identifying. And, of course, there will be live music! There is no ticket required, and all food is à la carte. 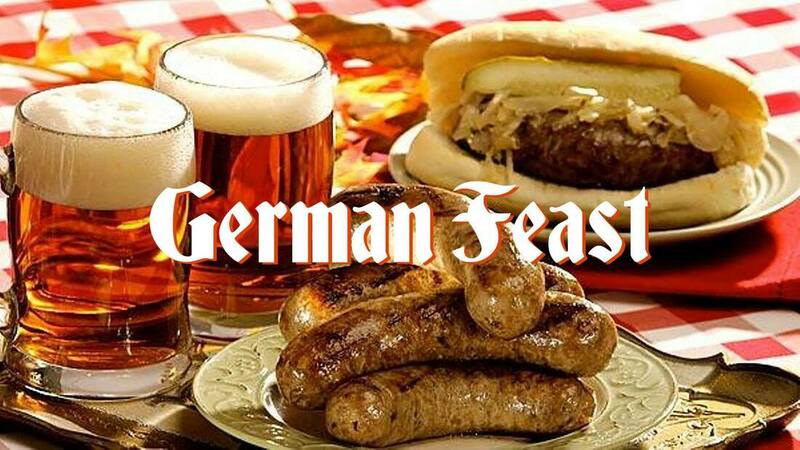 Join us for our German Feast during our Fruhlingsfest! Some of our favorite food trucks will be onsite and will offer some German-inspired selections to pair with our wine, cider and, beer. As always, there is no ticket for entrance and everything is a la carte. Bacon, Bacon, and MORE BACON! It's time for our May Bacon Feast during our Derby Day Festival! 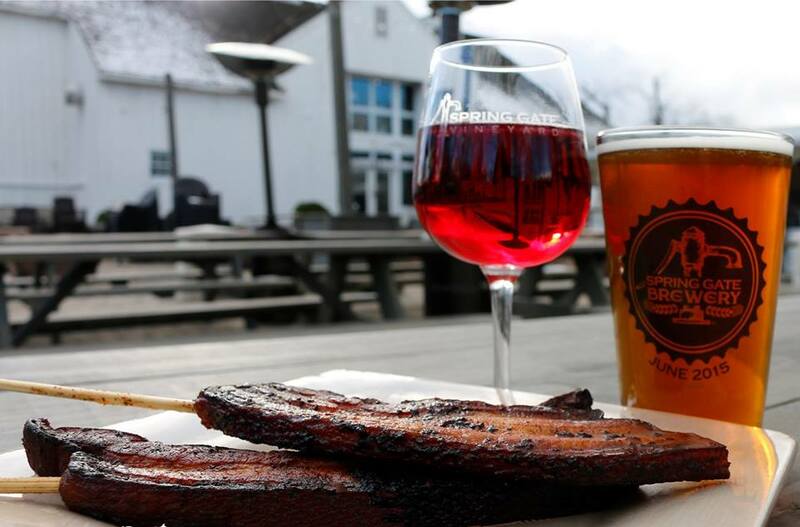 Don't miss this feast where you can experience luscious bacon dishes accompanied by our delicious wine, beer, and cider options. There is no ticket for entrance, and everything is a la carte.